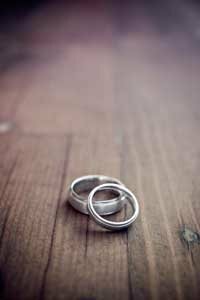 Can a Prenuptial Agreement Be Invalidated? 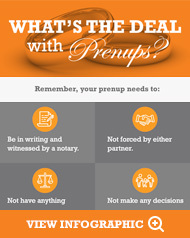 Prenuptial agreements in Illinois are legal documents that codify a couple's intent prior to getting married. A prenuptial agreement can contain specifics regarding any subject that is not criminal, does not affect a child's right to support, and does not adversely affect public policy. Usual topics include each spouse’s rights and obligations, maintenance or alimony, and the division of property and assets acquired by either spouse at any time. A prenuptial agreement is valid and enforceable once a marriage has been formalized, and can only be modified or revoked if both spouses consent and submit changes in writing. Prenuptial agreements are governed by the Illinois Uniform Premarital Agreement Act, contained in Chapter 750 of the Illinois Compiled Statutes. The Uniform Premarital Agreement Act (UPAA) was designed to provide a framework for the states to base their individual legislation on. The UPAA was crafted by the National Conference of Commissioners in 1983. It was established for a variety of reasons, such as the increasing number of households where both spouses worked outside the home, and the number of those divorcing. At the time, the states had no set structure for handling premarital agreements, and courts within the same state often lacked uniformity, making such agreements considerably less likely to be enforced. The UPAA wanted to change that. The rights and duties of those in the marriage as they relate to the property of either spouse. The rights to acquire, sell, or transfer property; essentially addressing the many ways property can be controlled or managed. How property will be distributed or allocated in the event of separation, divorce, death, or other major occurrence. Details relative to the award of, value of, duration of, or absence of spousal support. Issues dealing with the wills of either spouse. Provisions dealing with the ownership of life insurance benefits, among others. These agreements do not allow for provisions which adversely impact the basic levels of support for children. "You were a true advocate for me in negotiating our prenuptial agreement. Because of you, I feel that I am more than adequately protected if things don’t work out..."
Many couples choose to have a prenup in order to ensure that in the event of a separation, divorce, death, or other event, property and assets are distributed according to their wishes. Another reason for entering into a prenup is if there are children from a prior marriage, and the mother or father wants to ensure that any property goes to them instead of the current spouse should death or divorce occur. One spouse decides to suspend or abandon career plans to raise the children. A serious health concern arises. The marriage incurs a tremendous amount of debt. One portion of the Illinois UPAA addresses situations where there is a provision in the agreement that eliminates or modifies spousal support. If this negatively impact a spouse, due to "undue hardship in light of circumstances not reasonably foreseeable at the time of the execution of the agreement, a court, notwithstanding the terms of the agreement, may require the other party to provide support to the extent necessary to avoid such hardship." One party is not represented by attorney. The document is not in writing or it is not signed in writing by both parties. Unconscionable - If the prenuptial agreement is grossly unfair, a court may find it invalid. Agreements where one party is allotted substantially more than the other, or where one party isn't allotted anything may not be enforceable. False or incomplete information - Each spouse must consent and willingly disclose and sign the agreement honestly. The document must contain truthful and complete information; failure to disclose certain assets or financial information may invalidate the agreement. Duress or coercion - Illinois law states that the signing of a prenuptial agreement must be voluntary. The Illinois Supreme Court defines duress as "a condition where one is induced by a wrongful act or threat of another to make a contract under circumstances which deprive [the individual] of the exercise of free will." Many couples who want to sign a prenuptial agreement need some extra guidance, and as experienced Illinois family law attorneys, we help our clients make the most realistic decisions before they get married. To ensure that your prenuptial agreement is in accordance with Illinois state laws, consult with our qualified Chicago lawyers. With more than 25 years of practicing nothing but family law, Nottage and Ward, LLP, has the experience, dedication, and knowledge to help you make the best decisions for you and your spouse. For more information, please call (312) 332-2915. Chicago Prenuptial Agreement Lawyer Disclaimer: The legal information presented at this site should not be construed to be formal legal advice, nor the formation of a lawyer or attorney client relationship. Any results set forth herein are based upon the facts of that particular case and do not represent a promise or guarantee. Please contact a lawyer for a consultation on your particular divorce matter. This web site is not intended to solicit clients for matters outside of the state of Illinois.